An alkaline water pitcher is a simple way to start experiencing the benefits of alkaline water. Or if you’ve already installed an alkaline water machine in your home, the alkaline water filter pitcher is a portable solution, so you don’t miss out on the benefits while at work or on vacation. You can’t exactly pack up your alkaline water machine and take it with you, now can you? The design is just what you would expect, a water filter that fits conveniently on top of a pitcher for easy use. It will provide an easy way to make alkaline filtered water for your everyday or occasional needs, such as next to the coffee maker or to keep in the refrigerator for chilled water. This is a drip filter system that allows you to add the water to the top of the pitcher, as it slowly drains through the filter and makes great tasting water. The alkaline water pitcher will also raise the Ph of your water by up to 2 levels. 1 What Is An Alkaline Water Filter Pitcher? 2 What Are The Benefits Of Filtered Water? 3 What Features Should You Look For In An Alkaline Water Pitcher? 6 How Much Money Can You Save By Drinking Filtered Water? 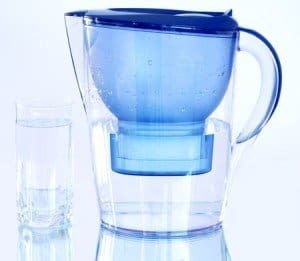 7 How Much do Alkaline Water Filter Pitchers Cost? 8 Where Is The Best Place To Find An Alkaline Water Pitcher? This pitcher will filter your water by removing contaminants, such as heavy metals, pesticides, and pollution. It will also transform your tap water into mineral rich alkaline water. The result is great tasting water that will enhance the flavor of your cooking, coffee or tea. At a lower pH level, the water has fewer particles that can inhibit the actual taste of the beverage like coffee or tea. The added benefit of a lower pH water is the purported health benefits. The studies are saying that having a higher alkaline level will feed your body more oxygenated water. The better water filters will also lower the ORP or Oxidation-Reduction Potential. A lower ORP increases the water’s ability to break down contaminants promoting healthy cell growth. Filtered water tastes better. Have you ever tasted tap water that has a metal after taste? This is also known as hard water and can affect as many as 85% of US households. Taste is important, since when our water tastes better, we will naturally drink more. Helps your body be more efficient. Our bodies work hard to maintain a good Ph balance. When we are overtired, stressed or are eating poorly, our bodies become more acidic. To restore the balance, our bodies need to work twice as hard and often pull the alkalizing minerals from our bones and tissues. Eating more alkaline foods and drinks helps our bodies maintain a healthy Ph balance. Keeps you hydrated. Drinking enough clean water is important to keep you hydrated. Drinking enough water is important to keep your mind thinking clearly, prevent fatigue and regulating your body temperature. Removes toxins. Drinking contaminated water is dangerous. Depending on our water source, it may include chemicals, bacteria, animal waste and many other toxic substances. While most drinking water in developed countries should be safe to drink, you don’t really know what is in your water unless you have it tested. It’s best to err on the side of caution by installing a simple water filtration system. A water filter is one of the simplest ways to ensure clean drinking water. Better for the environment. Making your own filtered water is much better for the environment (and cheaper) than buying bottled water. Who needs all those plastic bottles filling up our landfills? 1. Filter Replacement Cost. Sometimes we can buy a product for a very reasonable price, think printer, only to find out the replacements are more expensive than the initial investment. On average you should plan on replacing the filter cartridge every 2-4 months, depending on your water consumption. 2. Easy to Use. Ease of use is always something to look for in an alkaline water pitcher. Determine if it is easy to use and easy to maintain, to wash and replace the filter. 3. Filter Replacement Gauge. Also, some feel it is important to have a gauge that indicates that the filter is no longer filtering the water. It is not always easy to remember when the last time was or how many gallons were used. 4. Style and Size. If you leave the water pitcher out on your counter, the style will most definitely be a deciding factor. Many are also sized to fit in your refrigerator, but you will want to know the dimensions to be sure it fits. The capacity is also important since this will determine how often it needs to be refilled. Filter details Reduces heavy metals. lead, copper plus water hardness, pollution and pesticides. We only compared the top 3 alkaline water pitchers, so while all three are good choices, we still had to pick a winner. Our clear choice is the Alkaline Mineral Water Ionizer Pitcher. With a capacity of 3.5 liters, this pitcher is by far the largest which means you don’t need to fill it up as often. It has the widest range of Ph values, a reasonable filter replacement cost, and really excellent reviews. The final deciding factor was the price. It was priced right in line with our comparison of the top models. In short, the Alkaline Mineral Water Ionizer Pitcher from EHM is a great water filter at a great price. How Much Money Can You Save By Drinking Filtered Water? Do you buy bottled water today? Or have water delivered to your home? Most money is saved on one of these two products. You may save money from buying water or save the planet from all the plastic bottles we consume with water bottles. 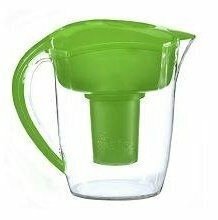 The convenience of having filtered water in your pitcher when you need it may be worth the small investment in time and especially in your health. Filtering out those unseen bacteria and contaminants may be worth the peace of mind in filtering your own water. How Much do Alkaline Water Filter Pitchers Cost? We compared the top 10 best selling water pitchers. The prices ranged from $35 to $105, with the average at about $56. 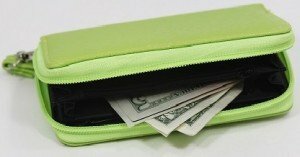 How much to spend will ultimately be up to you and what your needs are. Do you want a quality pitcher that will last you a while without breaking? Or do you just need a disposable one to use for a short period of time? But spending money on important things that benefit our health is sometimes a hard question. No one really sees unhealthy water so it may seem like it is not an urgent matter. Perhaps it may not seem important to your health, it is only water. But some people think that there is a direct link between high pH water and diseases such as cancer. Where Is The Best Place To Find An Alkaline Water Pitcher? You can find a couple good options in a home goods or multi-purpose store such as Walmart, Bed, Bath and Beyond or Target. However, often the best place to comparison shop or find additional choices is just as close as your online connection. 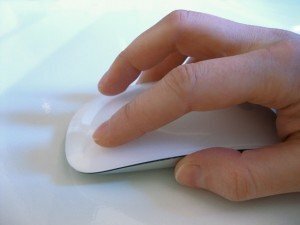 When purchasing any product online you are researching your product without knowing it. Many will read the reviews and comments of folks that have purchased the same product and were courteous enough to leave feedback for the next buyer. Many of the same questions that you may have may also have been addressed on the reviews or comments left on the site. While we reviewed the top water filters, there are additional options online. You can compare other product features, such as size, colors, shipping costs and return policies. For more information on the different types of alkaline water systems, visit our home page. Good luck and here’s to your continued health!